Brookline Senior Center Lunches prepared by Springwell are served at the Senior Center Monday through Friday at noon. A donation of $1.75 is requested, and you must register one day in advance before 11 a.m. (Telephone 617-730- 2770). A monthly menu is available on the Springwell website and in the Town of Brookline Senior News and Events. Chestnut Park, 50 Sutherland Road, Brighton offers a hot kosher lunch on Monday, Tuesday and Thursday at 12 noon provided by the Leventhal-Sidman Jewish Community Center (617-558-6956; ) There is a suggested donation of $2.50 per meal. You must call a day in advance by l2 noon. 1550 Beacon Street An Oneg Shabbat program is offered every Friday from ll a.m. to 2 p.m., also hosted by the Leventhal-Sidman Jewish Community Center (617-558-6956;) Suggested donation is $4.00, and you must reserve a place by Wednesday before l2 noon. Springwell (617-926-4100) provides home delivered meals to seniors over the age of 60 who are homebound and unable to prepare their own meals. Meals are available Monday through Friday and are generally delivered around noontime. Frozen meals for nights and weekends may be available to seniors with extenuating circumstances. The SHOP Program, operated by the Brookline Council on Aging (617-730-2777) matches Brookline High students with Brookline elders. Students provide a free shopping service for elders on weekends only. The program is available during the school calendar year only. Suburban Shopping Services (617-277-7523) are available to clients of Springwell. There is no charge or minimum for this service. Brookline delivery days are Wednesday and Friday. Food stamps provide monthly funds for food purchases. To determine eligibility and access for this program contact the SNAP program at the Brookline Senior Center (617-730-2777) or go to this website. The Brookline Emergency Food Pantry is located at St. Paul’s Church, 15 St. Paul Street, Brookline (617-566-4953). Individuals must provide a letter from a social service provider or agency stating that they are a Brookline resident and in need of food assistance. 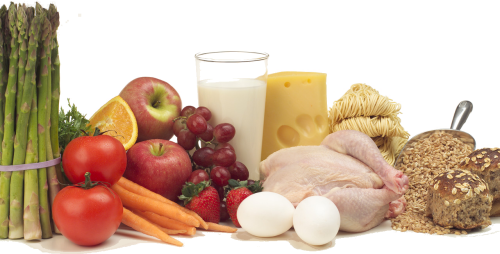 The food pantry is open Tuesdays and Thursdays from 10 a.m. to 2 p.m. and on Saturdays from 2 to 4 p.m.
Family Table Kosher Food Pantry (781-647-5327) is available through the Jewish Family & Children’s Services to Jewish individuals and/or families who meet certain financial guidelines. Food is generally distributed once a month. For more information about the market itself and discount coupons, access www.brooklinema.gov/farmersmarket/ or call Arlene Flowers, Market Master, at 617-566-8005. Other Farmers Markets They flourish all over the state. 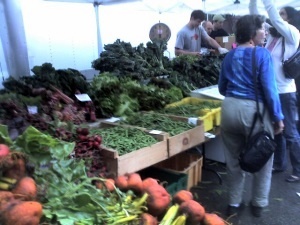 And you can find out where by going to the Massachusetts Farmers’ Market Association web site. There you can find where, what, when, and even how to get there for sites in Newton, Brighton, Boston, Jamaica Plain, West Roxbury, and Roslindale — and virtually anywhere you might want to wander on a lovely summer or fall day. Allandale Farm has tilled the same soils for more than 250 years on the Brookline/ Boston line near the Arnold Arboretum and Faulkner Hospital, providing fresh, local produce, cut flowers, quality nursery stock, and much more. The farmers have always aimed to be good husbands of natural resources and good neighbors. The farmers use organic practices because they believe that these practices best serve the needs of the farm’s crop management system, provide the safest work environment for employees, and provide the highest quality product for the farm’s consumers at a fair price.